Are you one of those individuals who were ‘gothic’ during your high school years? Maybe you wanted to make sure that your hair remained jet black at all times. However, these days, you realize that highlights for your hair are not reserved only for those who have carefree blonde hair or golden kissed brunette hair. It does not matter what type of history you have with highlights, it may be time for you to reconsider them. Highlights provide you the opportunity to undergo a makeover without having a dramatic change in your appearance. 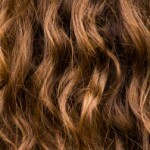 They can also create more depth in your natural blonde or brunette hair. The key to getting perfect highlights for your hair is to find out which colors will look best with your current hair color. There are several tips that you can follow so you can get the best highlights shades even if your hair still has the gothic look. Although there is not a lot of risk if you decide to do an allover coloring treatment on your hair at home, there is a greater chance that mistakes could occur if you decide to highlight your hair at home. The thickness of the highlight streaks could be affected as well getting the shade right. When you decide to get highlights, make sure that only an experienced and professional hair stylist completes the process. Are You Cool Toned Or Warm Toned? Do you have cool undertones in your face or warm undertones? This can be determined by holding cool hair swatches and warm hair swatches against your face. The one that complements your face the best is the color family you should choose. Always make sure that this test is completed when your face is makeup free and you are in natural light. Do You Want Lowlights, Highlights Or Both? Highlights are color shades that are lighter than the color of your hair and lowlights are darker than your natural hair color. Speak with your hair stylist to decide if you want to add one or both to your hair. You can successfully get highlights for your hair once you follow these tips. These tips can help you avoid a hair highlighting disaster and can enhance your natural beauty. Want to add highlights to your hair but unsure which color would look best with your current hair color? Diana Pagan Hair Designs will provide you with a salon service that is unmatched in the greater Atlanta area. Contact Diana today for an appointment.